Would you like to read our FAQ? In Belgium, the refund rate of excise duty on diesel can vary frequently. 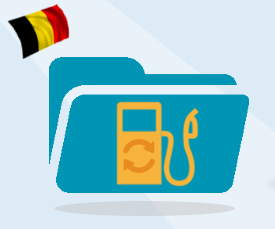 However, it has remained stable between January and June 2016: as a transport company, you can recover € 112.29 per m³ of diesel bought in Belgium during this period. The processing time of Belgian Customs may be long but the amounts that can be recovered are significant. Don’t hesitate to contact us to get more information. Then click on SUBMIT and we will call you free of charge.